My husband and I have been putting the final touches on the new baby room, as we count down to welcome the newest edition to our family. We’ve picked a monkey theme, and everything is looking super cute. I’ve also been putting the final touches onto a brand new online training event, and 4 part video series that I’m excited to be launching. I’ll share more about that with you real soon. We all have special God given gifts and talents, but the truth is if we do nothing to get these gifts out into the world and take action, they’re worthless. In today’s episode I want to show you 3 simple steps to quickly turn around any limiting beliefs or blocks around money. You’ll learn how other millionaires and successful people think. In order to create a healthy relationship with money, you need to start with awareness. Please make sure to pay special attention at the 3:15 mark, and ELIMINATE these words from your vocabulary forever. I hope you enjoy today’s new episode! 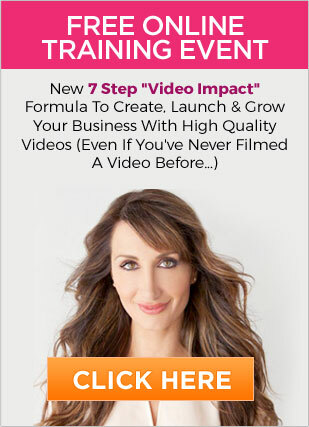 PS I would love to hear what you thought of this video, and what one action you can take today to get you to closer to your desired income goal. PPS At the 4:35 mark I share some powerful questions, that if you’re brave enough to ask yourself, these will set you apart from everyone else, who are too afraid to get honest with themselves.This will be powerful!